If you are in the process of recruiting new team members, you probably have a lot on your plate – determining exactly what you are looking for in an employee, crafting a great job posting, meeting with prospective new hires and most importantly – drafting an appropriate and thorough employee contract. As an employer, it’s very important that you understand the minefield of legal requirements that come along with hiring staff. If you are a small to medium sized enterprise (SME), you’ll find that hiring at this stage is quite a bit different than asking a pal to come along and help you out for the day – things get a lot more complex when you are hiring staff on a legal basis. There are many legal requirements and protocols that you must follow in order to stay on the right side of the law. Read ahead for a simple explanation of some of the legal requirements you must fulfill when hiring staff, followed by a few easy tips that will help you to write a winning employee contract, no matter what industry you are in. This information will help you navigate the hiring process and make finding your dream candidate a lot easier when the time comes. Here are some of the legal requirements that you must keep in mind when embarking on any hiring process for your first time – or your fiftieth time. You must be willing to pay at least minimum wage – The UK has an established National Minimum Wage, and no matter how small your enterprise, you must pay all employees this sum. Always ensure that the minimum wage requirements have been met; failure to do so can result in huge penalties for your business. You must find out whether you need to conduct DBS checks – DBS (disclosure barring security) checks are necessary if you work in any field involving vulnerable groups (such as children, mentally disabled people or incarcerated populations). Do not neglect this important step. Get insured: you need employer liability insurance – The minute that you begin to hire staff, you must ensure that you are fully covered by employer liability insurance. “EL insurance will help you pay compensation if an employee is injured or becomes ill because of the work they do for you” – and you must be insured by an authorised provider for up to 5 million pounds. Alert HM Revenue and Customs (HMRC) that you are a new employer – You need to let HMRC know about your status as a new employer within four weeks of your intention to begin paying new staff members. Doing this within a timely fashion will ensure that everyone is paid on time and that you are correctly registered. Check that your staff is allowed to work in the UK – You must check to see that everyone you hire has the legal right to work in the UK; this usually requires that you view their legal documents before you allow them to begin working for you in any capacity. Job details must be submitted to the employee in writing – You must ensure that your employees receive details of the job (including all terms and conditions) in writing before they begin work if you plan to employ them for more than one month. Assess whether you need to enroll your staff in a pension scheme – Check this link to determine if you need to automatically enroll your staff members in a pension plan. Now that you have navigated the above legal requirements when hiring new staff members, you are ready to get started writing your employee contract. Don’t let this task daunt you – follow this handy outline to make the process a lot simpler than you are expecting. Date – This may seem like a no brainer, but for your contract to be legal, it must include the date the offer is being made. Name of position – You need to ensure that the position you are hiring for has a name; even if you don’t really have one for the role, you need to come up with something simple and descriptive. Start date – Include the actual date that the employee will begin their role within your company. Compensation plan – This is key: you must include whether the new hire will be compensated with an annual salary, an hourly wage, a commission structure and/ or a bonus scheme. Base Salary – Once you have determined the employee compensation package that you are offering your new hire, you will need to include the actual monetary value of the base salary or hourly wage. Commission – If your employee will be paid on a commission structure, you will need to carefully elaborate how this will be calculated on your employee contract. Failure to do so can lead to misunderstanding and even legal troubles down the road. Benefits – Your employee contract must include details about benefits (such as pension and health care). Some of these details include: when the employee becomes eligible for company benefits, what benefits exist within your SME and directions to point them to any accompanying benefits package or literature. 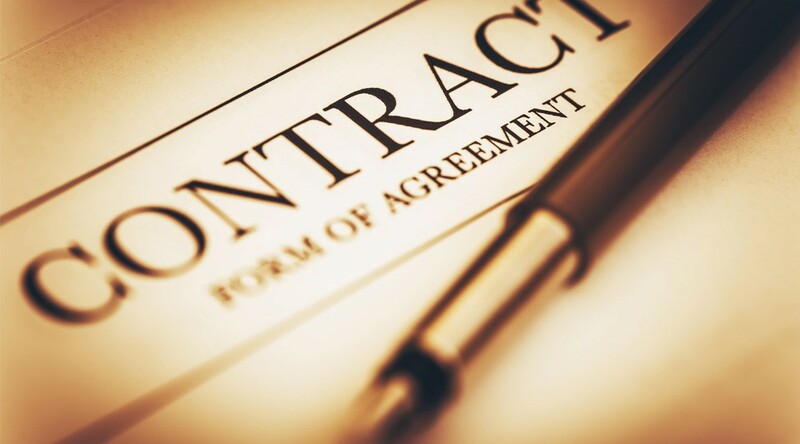 The dotted line – Another seemingly obvious component of an employee contract is the place for both the employer and the employee to sign! While you may think this is self- evident, you would be surprised how many people forget this vital component – a signature will make the document legally binding. The above information about your legal requirements and tips for writing a successful employer contract should help you get started on this important task today. While these points may seem like things you can put on the back burner, you are strongly advised to deal with them before you even begin your search for your new employee(s). Good luck on your search!